India's pioneering literary classic in Gujarati, “Saraswatichandra”, is finally available in English. 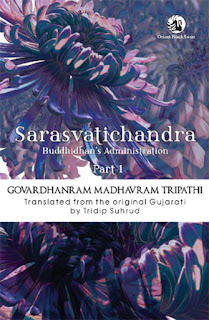 Translated by well-known Gandhi expert Tridip Suhrud, who has been instrumental in implementing one of the most ambitious projects of digitizing the entire Gandhi heritage, Suhrud terms the late 19th century novel by Govardhanram Madhavram Tripathi as ranking among the “most accomplished literary works” of India. While the first volume is out and has been published by Orient Black Swan, the other three volumes – which are at the editing stage – will be out over the next about one and a half years. The first volume runs into 408 pages, and all the four volumes would be in around 2,200 pages. Insisting on the need to share the best of Gujarat with the world, which is what he has done, Suhrud, talking with Counterview, quotes top Gujarati litterateur and Gandhian Manubhai Pancholi "Darshak" as saying that "in the great celebration that is India, Gujarat has two gifts to offer: Mahatma Gandhi, and the jewel among books 'Sarasvatichandra'." Mahatma Gandhi, who made a careful reading of “Saraswatichandra”, wrote about it thus: "To the first part he gave all his art. The novel is imbued with aesthetic delight; the characterisation is matchless. The second part depicts Hindu society, his art went deeper in the third part, and he gave all that he wished to give to the world in the fourth part." One who has been writing on Govardhanram Tripathi since 1994, Suhrud – who is right now director of the Sabarmati Ashram in Ahmedabad, and has served as faculty at the National Institute of Design (NID) and the Dhirubhai Institute of Information and Communication Technology (DAIICT) – had earlier translated a non-fiction earlier, Narayan Desai's “My Life is My Message”, running into 2000 pages and four volumes. It is a biography of Gandhiji for the period 1869 to 1905. 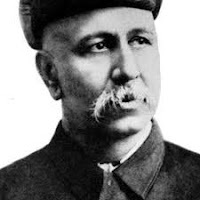 Desai was Gandhiji's secretary. Giving details of Saraswatichandra and Govardhanram in the introduction to the first volume, Suhrud says, “Each part has a distinct thematic content, has its own cast of characters and has different beginnings and ends.” Though revolving around protagonist Saraswatichandra's love towards Kumud and her sister Kusum, the novel gives a distinct impression of Gujarat society under the “increasing influence of the East India Company in the affairs of the native states”. One also finds in the novel, suggests Suhrud, “minute descriptions” of the then society, include the “reality” of a daughter-in-law as it existed in a Hindu joint family in the latter half of the 19th century, alongside its “strengths and fragilities”, as seen by Gorvardhanram. Much of it reflection of the upper sections of society of Central Gujarat to which Gorvardhanram belonged.